On Sunday, September 16, the 16th Sunday after Pentecost and on the feast day of the Venerable Prince Peter and Princess Febronia, Divine Liturgy was celebrated in St. Nicholas Patriarchal Cathedral in New York City, followed by petitions for unity of Holy Orthodoxy, blessed by the Holy Synod of the Russian Orthodox Church. 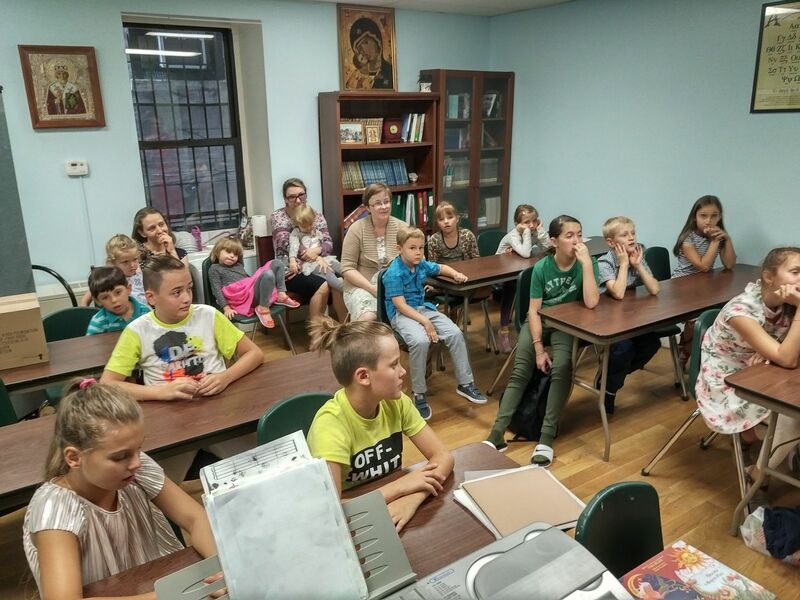 After Holy Communion, a moleben was served for the beginning of the school year for the students of the Cathedral Sunday School. Teachers, parents and pupils participated in the service held before the icon of the Saints Peter and Febronia containing a piece of their holy relics. The first lesson was conducted by Olga Miller, the director of the “Renova Fort Ross Foundation”. 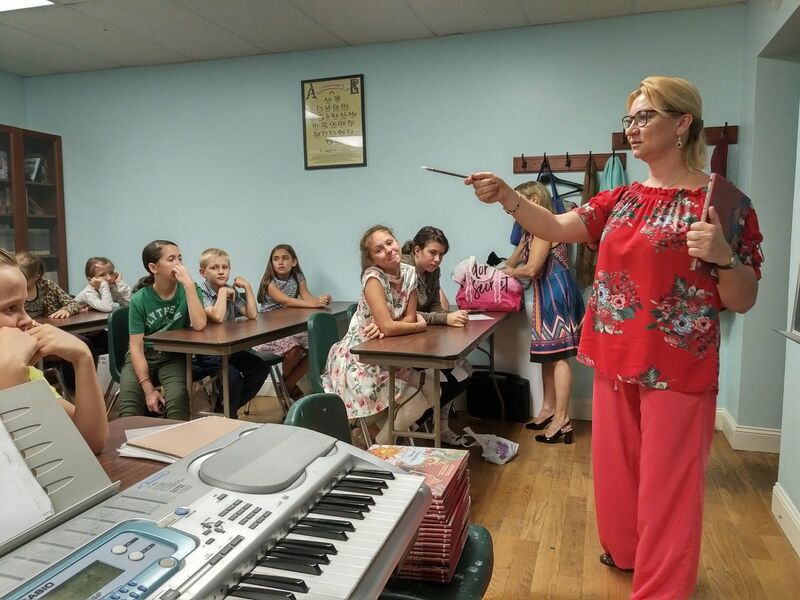 She talked to the children about the first Russian Orthodox settlement in California and presented the book "The Tale of Fort Ross", written and illustrated by Pskov artist Vera Bely. All teachers and students of the Sunday School received a copy of the book as a gift. In consideration of works for the benefit of the Holy Church and in connection with the past 200th anniversary of Fort Ross, Olga Miller the director of the Foundation, was awarded a Patriarchal Gramota by His Holiness Patriarch Kirill. 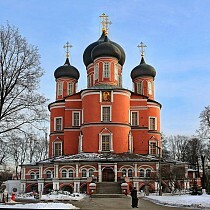 The Gramota was presented by cleric of the cathedral, Abbot Nicodemus (Balyasnikov). On the same day a general parish meeting was held in the refectory of the Cathedral, where the clergy and parishioners discussed various issues of parish life. A number of projects to maintain the proper level of liturgical, educational and charitable activities of the Patriarchal Cathedral were outlined.